Ask of the Lord and he will shower down blessings. “Every good gift and every perfect gift is from above, coming down from the Father of lights” (James 1:17). And he has given the very best gift, a gift that could only be sent from above. God’s great gift makes us strong in the Lord so that we may follow him, walking in his name. This great gift is apprehended like a child receives a Christmas gift. Naughty or nice, she runs to see what gift awaits her beneath the tree. She does not pause to consider if she has been good enough to unwrap the gift that bears her name. No! With great joy and anticipation, she tears into the package. Now imagine that her gift was cast aside, not played with or shared with others. So too, the gift of salvation that comes in Christ is not for one’s sole benefit. Christians are to selflessly share God’s good and perfect gifts with others (Acts 2:45), even restoring sinners and bearing the burdens of sisters and brothers in Christ. In doing so, we are strong in the Lord, following him, and walking in his name. 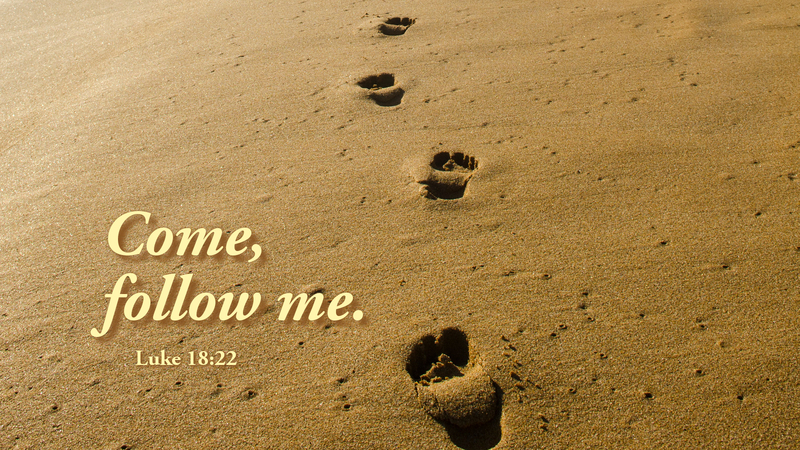 Prayer: Lead me today, Holy Spirit, that I may follow Jesus. Amen.